This is a Cellular telephone. 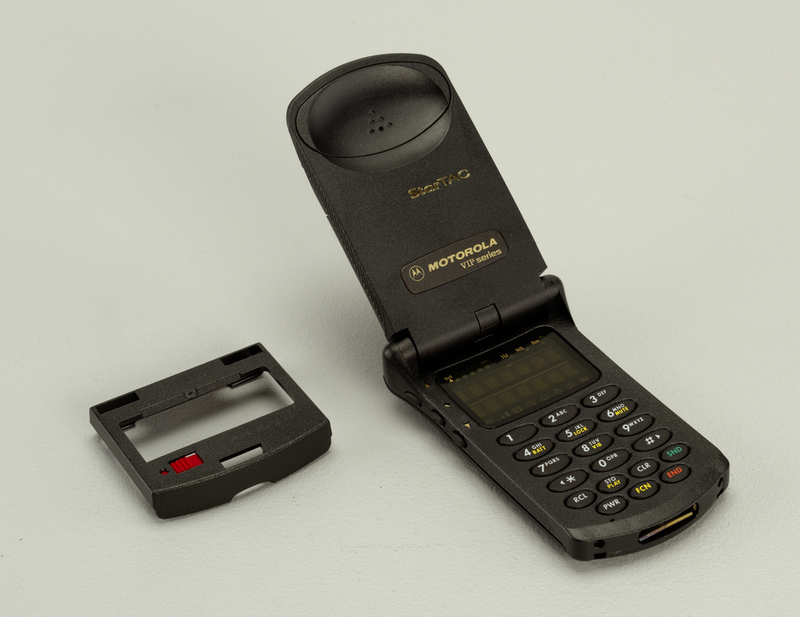 It was manufactured by Motorola, Inc.. It is dated design began 1993, first produced 1996 and we acquired it in 1999. Its medium is plastic, metal, electronic components. It is a part of the Product Design and Decorative Arts department.